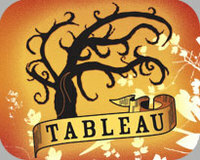 This week, ROCKharbor church in Costa Mesa is producing "Tableau: A festival for Christian Artists, Dreamers, and Storytellers." It starts tonight and has several events running through Saturday, including the opening of their stage production of Donald Miller’s book Blue Like Jazz. If you can find some time, go by and check out what they have going on. If you do, let us know how it was! Find out more about the events here. I want to find a guy who does christian tattoos. This art thing sounds awesome. So are you so excited to be a dad? I am excited for you guys! Yay.